The results look fantastic. I imaging the vehicle would have pretty good performance floating on top of soft snow especially with the low ground pressure afforded from such wide and long tracks. The traction is likely good, too, with the steel cleats. 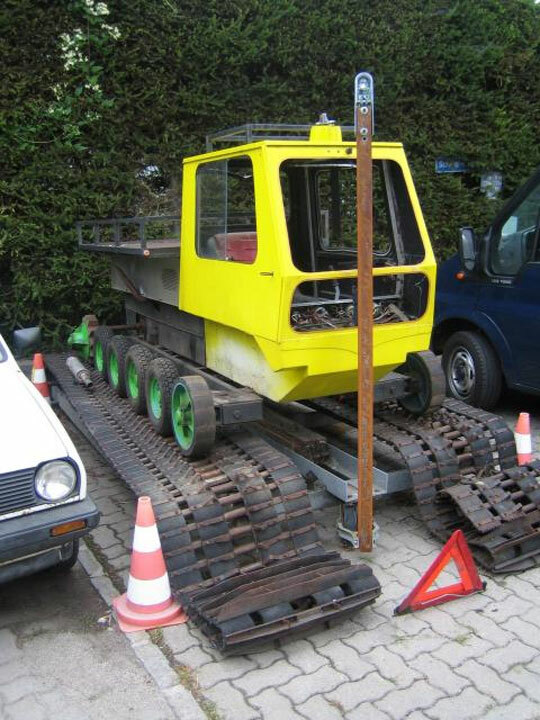 Notice that this tracked chassis has no suspension. The mid wheels are air-filled and provide a small amount of give. On soft snow, however, this is not a big deal and makes for a simple build. 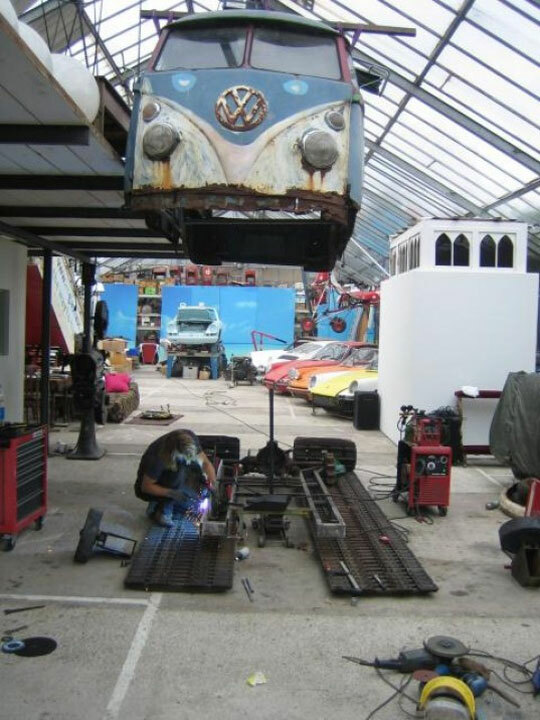 A new chassis was built and the van itself is really a shell on the vehicle. The photos show that the rear engine configuration and rear drive was retained, which is typical on a tracked vehicle. Weight on the rear allows the tracks to remain light and high up front to float on the snow and easily lift over obstacles. Positioning the drive sprocket on the rear provides the advantage of allowing the forces of the drive train to pull the track directly back to create forward motion. Front drives are possible, however, they're more complicated and add stress to the return running gear. One thing that is not clear to me, however, is the climbing ability. 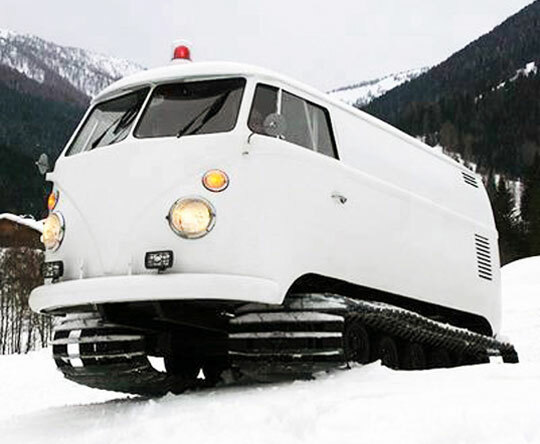 It would depend on engine output: does the vehicle uses the VW air-cooled engine, one similar to what was in the donor snow machine, or something else entirely? Either way, I suspect the power output may be on the low side which makes this more of a flat-land vehicle than a mountain climber. Also, it is also suggested that this vehicle remains street worthy -- albeit when the snow falls. They claim that a fully rubber track may be used to convert the vehicle into a rock and mud capable machine, too. Although, with that beautiful body and no suspension, I think its place really is in the soft white stuff.